Incised line inside the footrim. 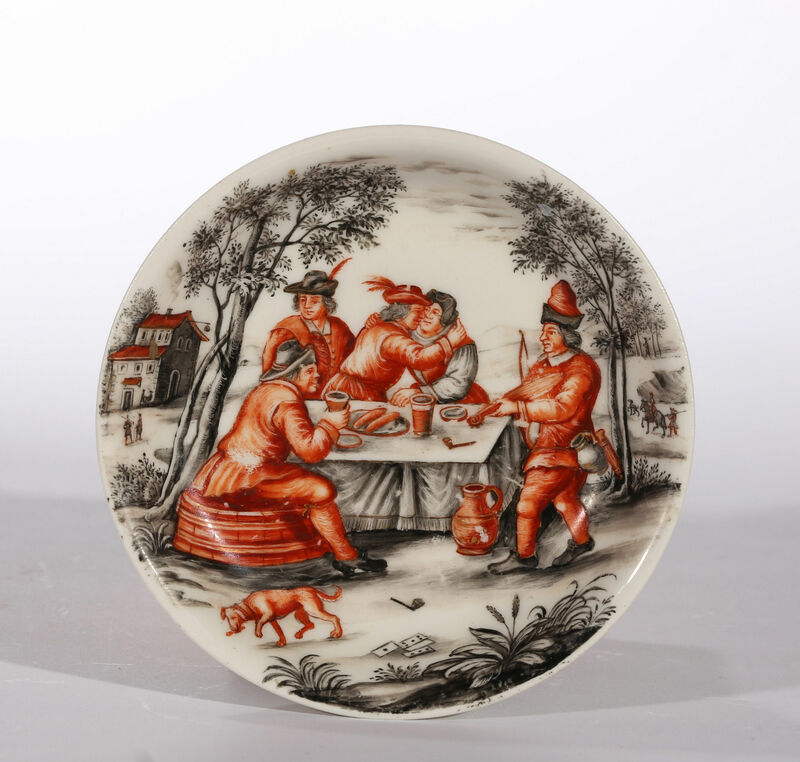 Enamelled in black and iron red with peasants drinking around a table in the manner of David Teniers the younger. Ignaz Preissler was perhaps the most skilled of all the outside decorators or hausmaler. With his father Daniel, a noted decorator of glass, Ignaz Preissler worked in Eastern Bohemia. In 1723 the chronicler Johann Christian Kundmann published an account of the ceramic industry in which he stated that “in Breslau, Herr Preussler only paints in grey or black”; In 1726 Kundmann writes that “Her Preussler” has worked for seven years for a local nobleman Herr Ernst Benjamin von Löwenstädt von Ronneberg and had decorated over one hundred pieces of Oriental porcelain in grisaille and gold for him. Ignaz Preissler afterwards worked in Kronstadt, Bohemia, for Franz Karl, Count Liebsteinsky von Kolowrat from about 1727 to 1732. Documents state that he mostly painted chinoiseries (Indijanische Figuren und landschaften) but also ‘difficult poetic subjects’ (Poetische Mühesame). In 1731 Ignaz Preissler stated in a letter that he, like his father, considered monochrome painting in black or iron-red to be the finest and most subtle form of decoration. 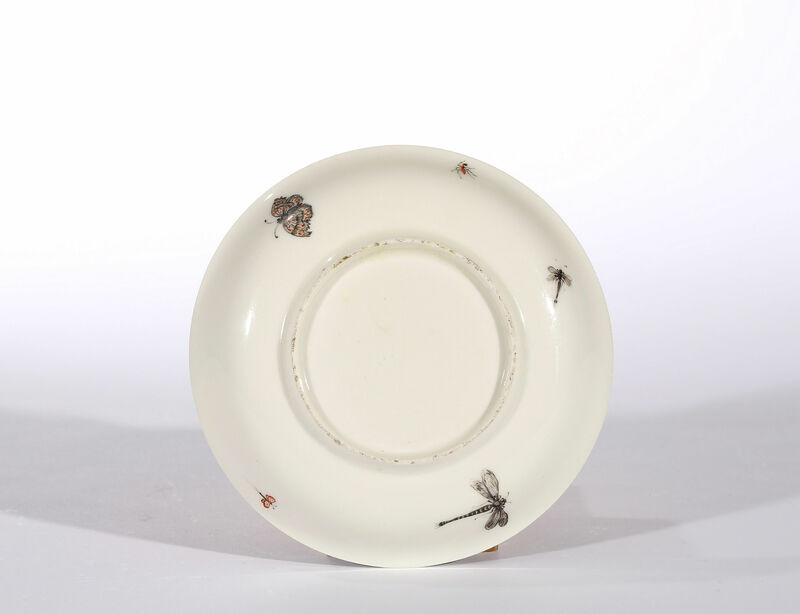 The porcelain decorated by the Preisslers is often mistakenly said to be Viennese, Du Paquier. This is very rarely the case. The confusion arises because the forms are often untypical but this is because the outside decorators had access to old stocks of Meissen porcelain, pieces that were imperfect or of shapes that were no longer current. Provenance – South German Collection.